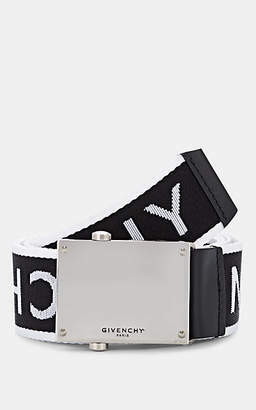 Infused with the label’s signature dark romanticism and urban styling, French fashion house Givenchy was originally founded in 1952 by acclaimed couturier Hubert de Givenchy. This SS19 is made from a collision between women’s and men’s clothing, being the gap between gender clothing much smaller. 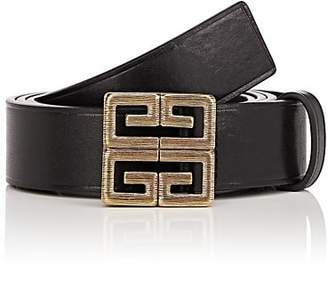 Presenting this black calf leather G logo buckle belt from Givenchy featuring silver-tone hardware. 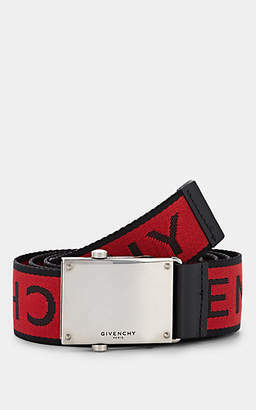 Givenchy Men's Logo-Jacquard Webbed Fabric Belt - Wht.&blk.